[prMac.com] Richardson, Texas - Appdore, LLC today is proud to announce the release and immediate availability of LETTERGY 1.1.1, its brand new incremental word game for iPhone, iPad and iPod touch devices. Great for players of all ages, LETTERGY educates the player while rewarding them with huge scores, offering 3 Leaderboards and 16 Achievements. LETTERGY features two game modes - Moves and Timed mode. Moves Mode is the calm 25 words only mode that is great for players looking for a competitive but relaxing mode. 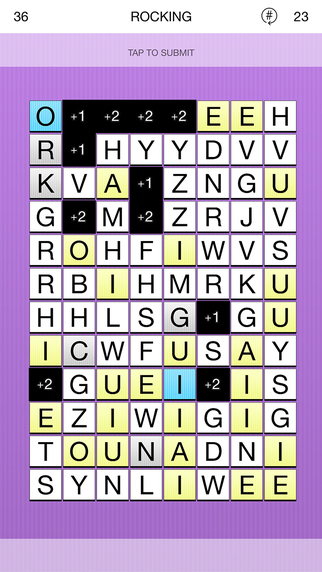 Timed Mode will start the player with 60 seconds to find words. Every 3 words the player finds will reward the player with a level up, more time and a higher number tile limit. Each time a player finds a word, the letter tiles will turn into number tiles that will slowly grow as the round goes on - players will notice that their 1 point per second tile will turn into a 2 points per second tile. Players needing new tiles can cancel the incrementing number tile by tapping the tile and getting a new letter. LETTERGY 1.1.1 is $0.99 (USD) and available on the App Store in the Games > Word category. LETTERGY is simply a different kind of word game that is currently exclusive to iOS. LETTERGY is kid friendly and does not feature outside links, in-app purchases or advertisements. Appdore, LLC is an independent game development company run by Cartez Augustus and is operated out of Richardson, Texas. Cartez has been developing apps since 2012, including work on several iOS apps. Copyright (C) 2015 Appdore, LLC. All Rights Reserved. Apple, the Apple logo, iPhone, iPad, iPad mini, iPod touch, and Mac are registered trademarks of Apple Inc. in the U.S. and/or other countries. Other trademarks and registered trademarks may be the property of their respective owners.